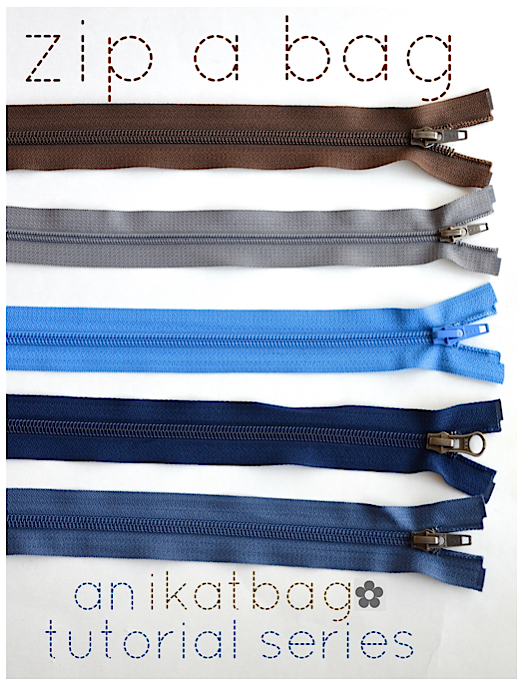 Welcome to the very first tutorial in the Zip A Bag series! The purpose of the next few tutorials is to learn how to install zippers. And since I promised that we'd begin at the very beginning, we will start by installing an unfaced zipper in an unlined pouch. 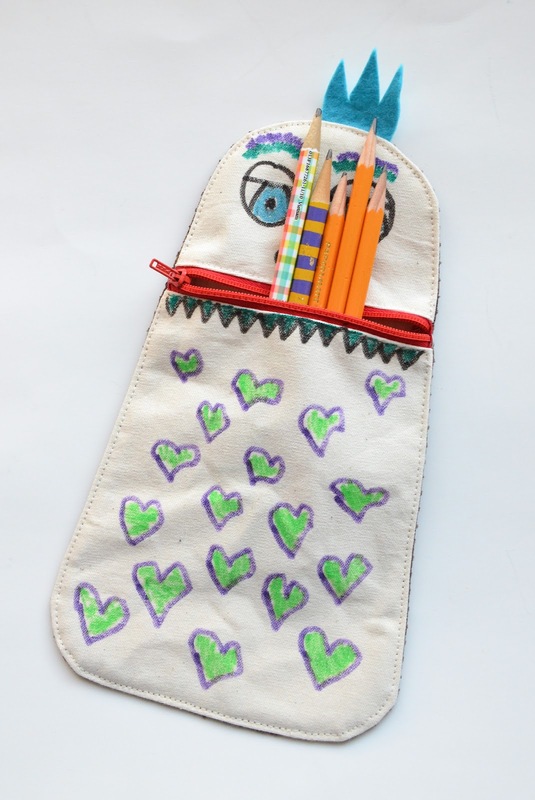 Today's tutorial is to make a flat (2D) pouch with a zippered opening that is not along one of its natural edges. enclosing seam allowances and - sometimes - rendering a project subsequently reversible. A facing is a piece of fabric that backs a particular area of a project. Being an additional layer itself, it also naturally lines that part of the project, but its main function is to reinforce seams in that area. It is called a "facing" because its literally lies against (faces) that part of the project. a zipper facing, sewn on the WS of the seam attaching the zipper, hiding the zipper tape. Except in very, very rare instances, I always line my pouches and bags, and always face my zippers and, because those two features take care of all the hideous seam allowances, therefore never use the serger. 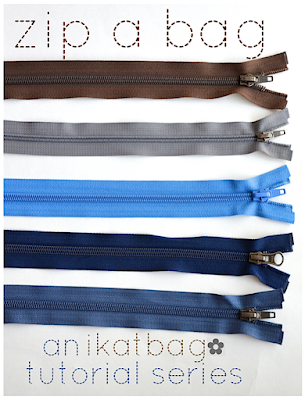 There is nothing wrong with having an unlined bag with unfaced zippers, incidentally. It's just that I personally don't feel a bag is properly finished unless it is fully lined, and all the SA hidden from sight. When then, are those aforementioned "very, very rare instances" that I might omit the lining, and leave the backs of zippers bare? Here comes another idiosyncratic thing: unless there's good reason not to, I also always enclose the ends of my zippers with fabric stops. Sometimes I even remove the metal stops before enclosing the zipper ends in fabric. No reason other than to save my needle the risk of accidentally hitting the metal stops. Sometimes, however, the stops are so firmly wedged within the coils that I cannot remove them, in which case I will let them be. Okay, so fabric stops. 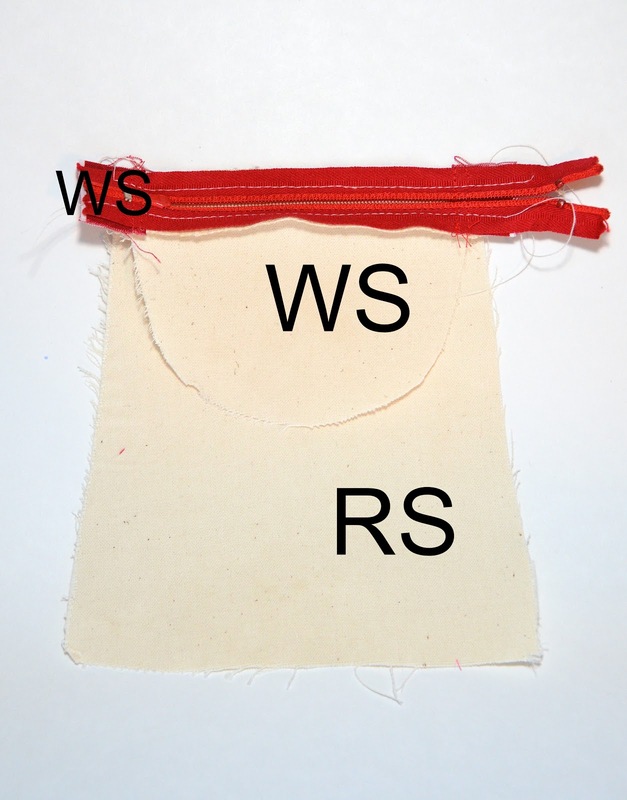 You can sandwich the ends of a zipper between two layers of fabric, so that both the RS and WS of the zipper are hidden. In the next chapter, we'll learn how (and when) to do this. 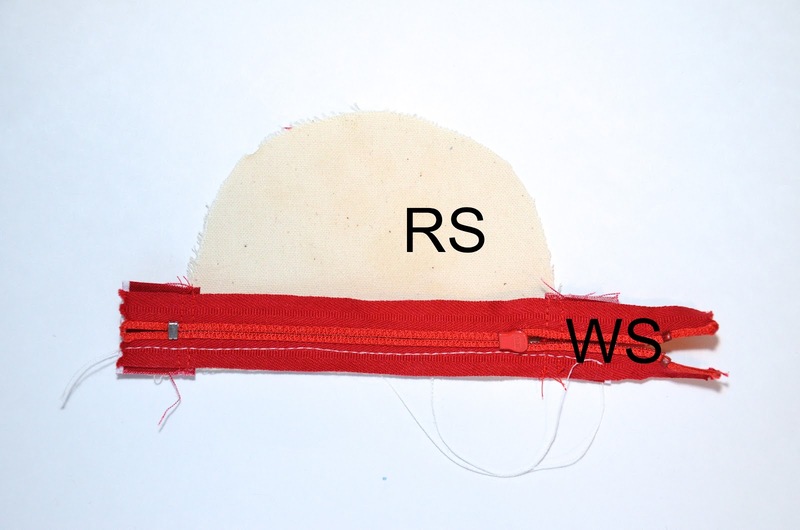 But today we're going to cover only the RS of the zipper - the WS will remain exposed and untreated. Today's tutorial, unfortunately, involves an unlined, unfaced zipper, with only one-sided fabric stops. Three less-than-ideal features in one project. Erk. Please don't do this if you can help it, okay? 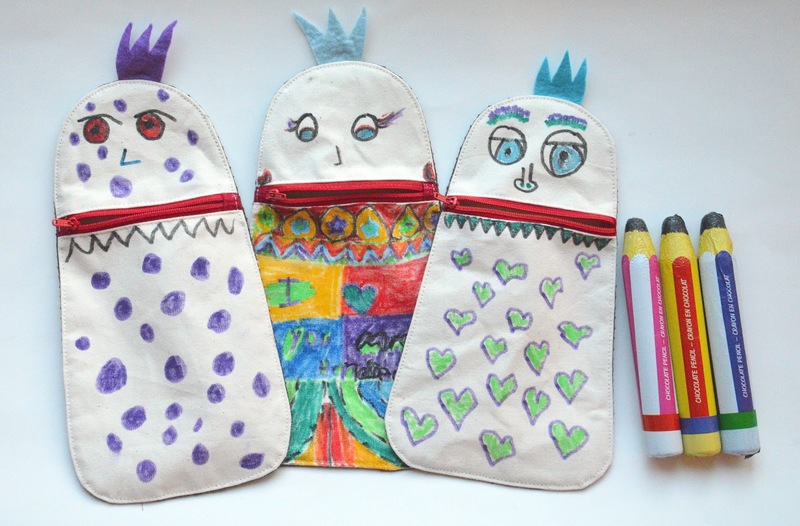 Now, because I don't actually want you to learn to sew your pouches this way, I am deliberately going to skimp on the photos, and just speed through the process, saying just enough to convey how unfaced zippers are installed as a general practice. 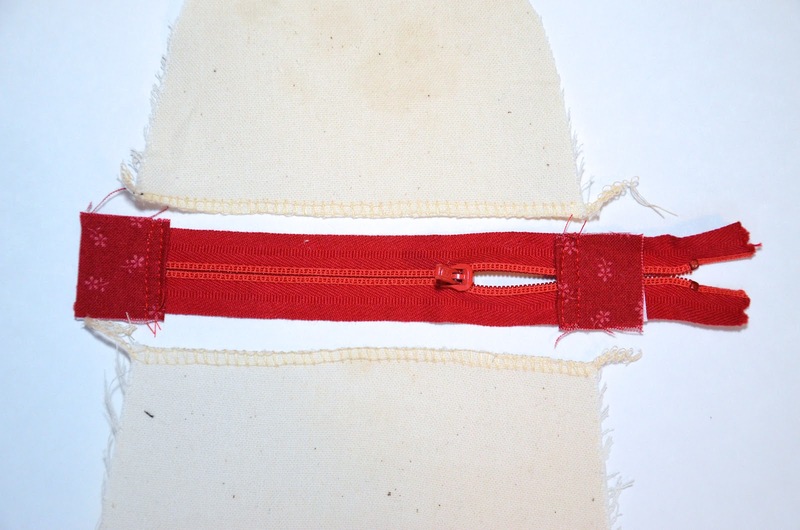 Start with two pieces of fabric, each about the same width as the zipper tape. 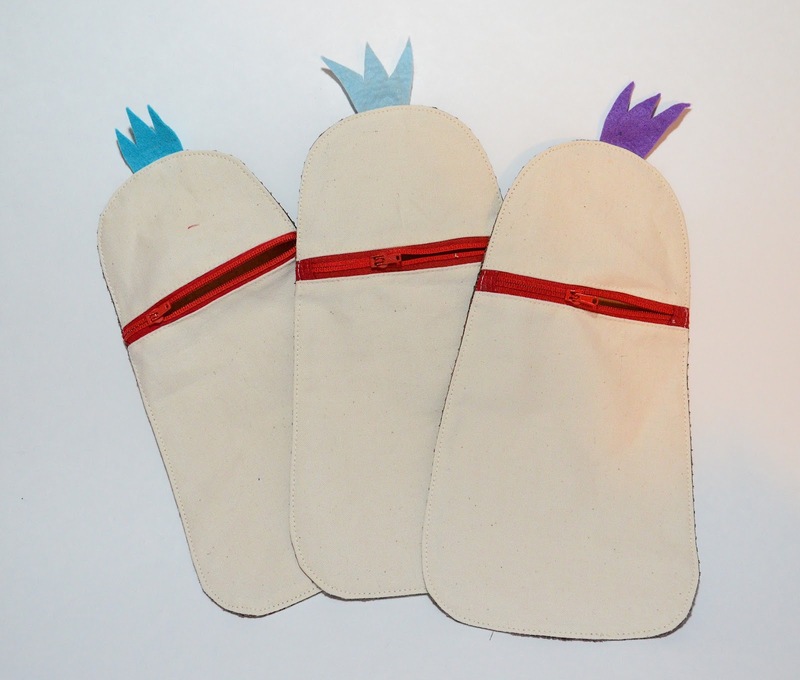 Fold each in half with RS out and lay their folded edges over (and hiding) the metal stops. The separation between the fabric stops should be slightly smaller than the finished opening. See the following pictures to visualize this. Topstitch across the fabric pieces, through the zipper underneath, to hold them in place. I did two lines of topstitching. The first is an edgestitch (i.e. very close to the fold line) to prevent the zipper pull from slipping underneath the fabric stop and getting accidentally stuck. In the next tutorial, we will attach the fabric stops a little differently, which automatically prevents this from happening. The second is to further stabilize the fabric stop, and for aesthetic purposes. The zipper is now ready to be installed. Notice the top stops of the zipper protruding way beyond the fabric square on the right? Ideally, if you always use zippers much, much longer than your opening, you will never need to remove the metal stops - they'll stick out so far that you can just cut off the excess zipper tape with them in it. Back to the pouch now. 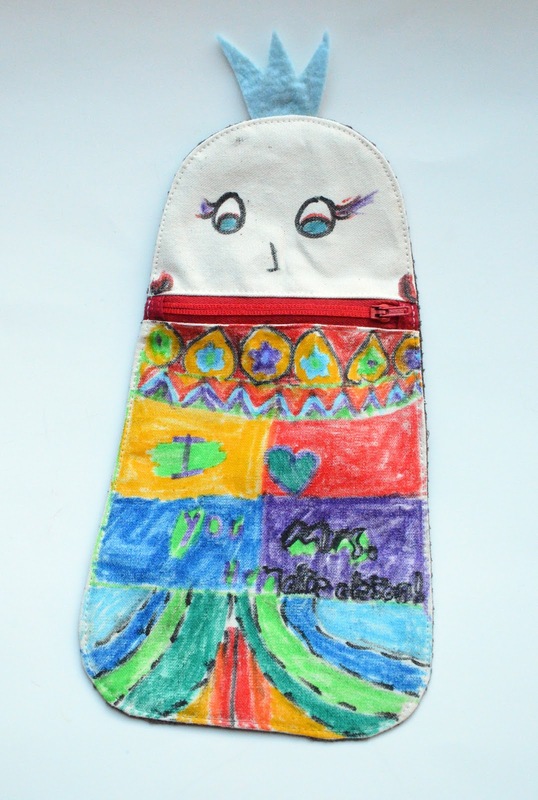 The front piece of this pouch is cut into two pieces to create the opening. We'll be inserting the zipper in the seam between these two separate pieces. Note that the separation between the fabric stops i.e. 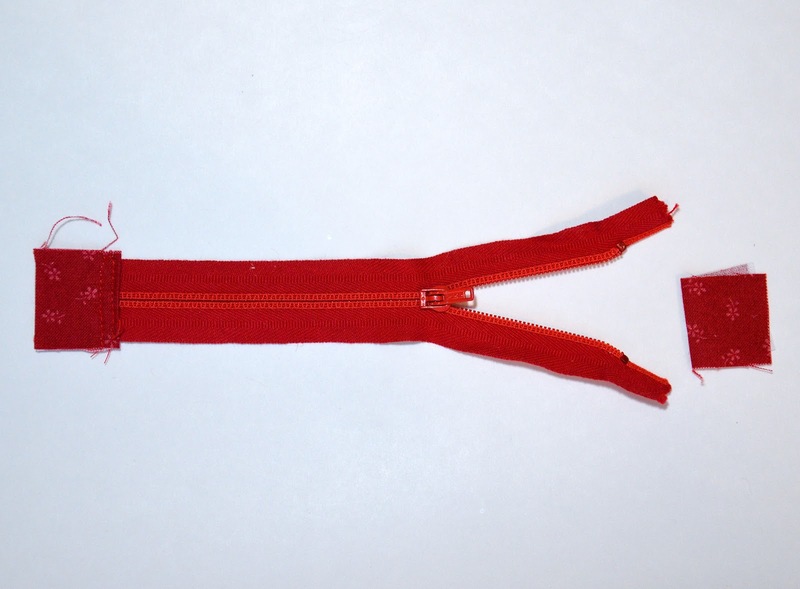 the usable length of zipper coil, is smaller than the finished opening. 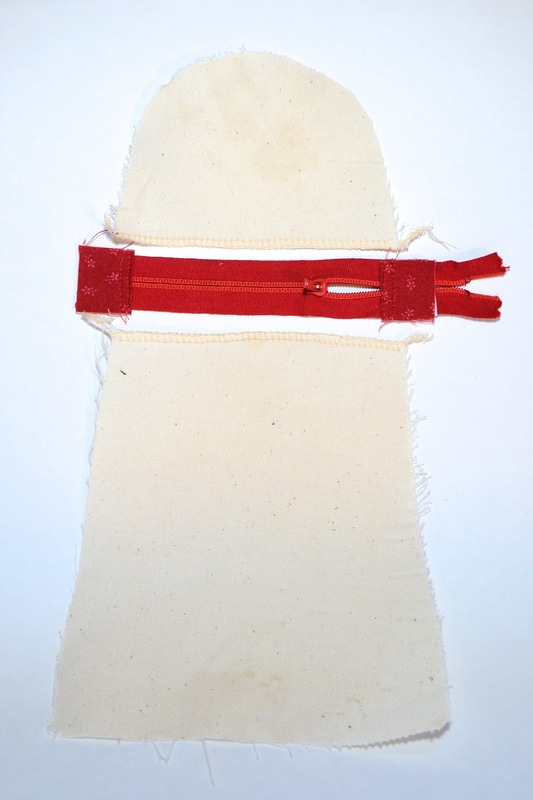 the lower edge of the zipper tape is lined up with the lower edge of the fabric. Stitch in place, using the zipper foot to get close to the zipper coils. Stitch in place, again using the zipper foot to get close to the coils. 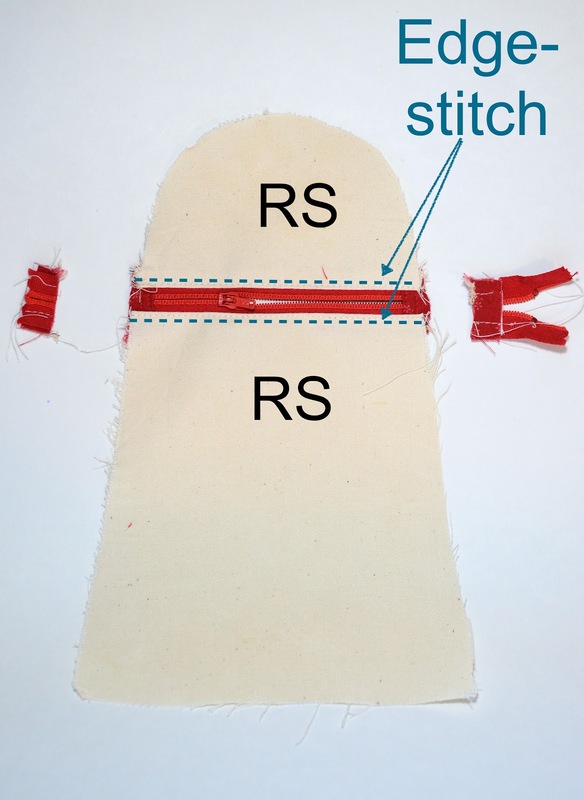 Separate the two pieces of fabric, folding them back along the stitching lines to expose the zipper coils between them. Press the seam open and, on the RS of the fabric, edge-stitch through all layers, close to the folds to hold the fabric in place. Trim off the excess bits of zipper tape on either side. The (unlined) zippered front panel is now ready for assembling into a pouch. All you need to do next is pair it with a similar-shaped back panel and stitch both pieces together around their outer edges, with RS together. Finish (serge, bind, zig-zag stitch, etc.) this outer edge and turn the pouch RS out through the zippered opening. 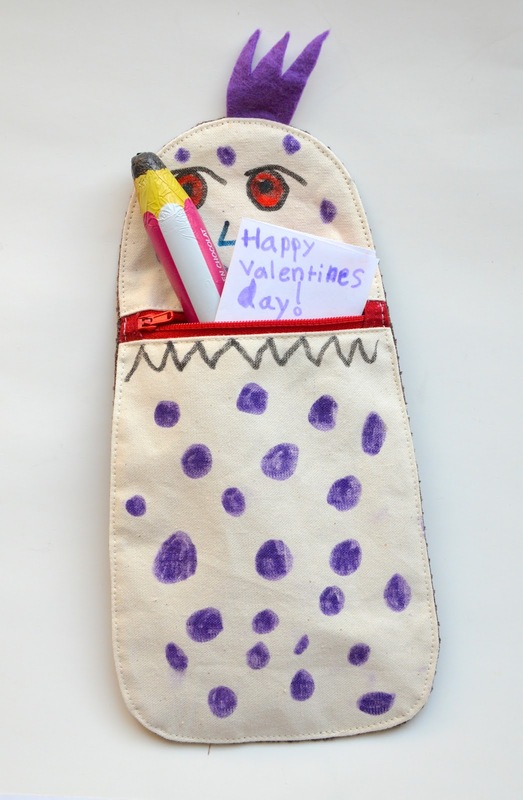 Incidentally, these were monster pencil cases I made for the girls to decorate for their teachers for Valentine's Day. Like 10 months ago Valentine's Day. That's how long ago I took these photos for this tutorial series. Cough. As earlier mentioned, this is not at all an elegant method for installing zippers into pouches. However, if you can live with the internal messiness of the finish, it is very efficient for mass-producing. 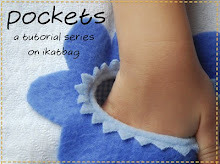 Next up is a much more refined way to install a zipper in a pouch. See you back soon! 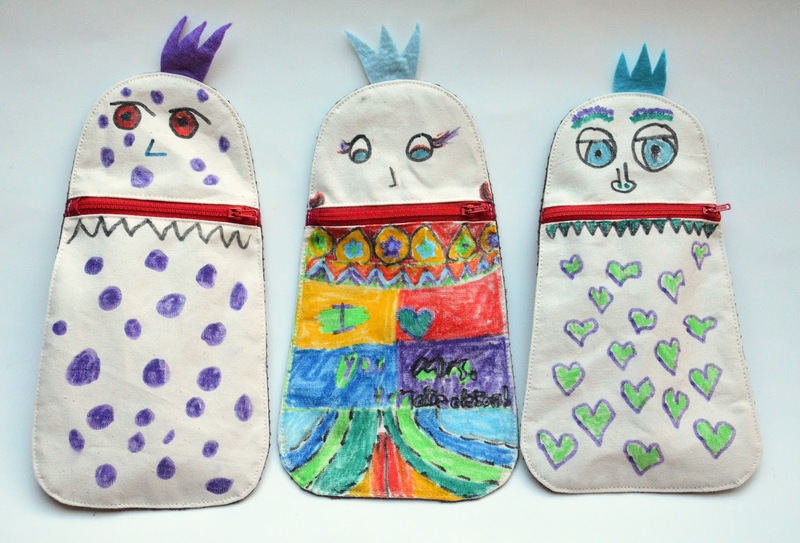 "Topstitch across the fabric pieces, through the zipper underneath, to hold them in place." Is it really two lines of topstitching or are you doing something else before or after the topstitching? Thanks for any explanation you can provide. Anonymous: it's a great question! Thank you for asking it! It really is two lines of topstitching - one really close to the folded edge to prevent the zipper pull from proceeding further beyond that edge (and getting stuck underneath) and the second for stability/decorative value. I will go back and add this information to the post because it's useful to know. Anonymous again - thank you so much for the quick response to my question. I really enjoy your tutorials and have used a LOT of the information and techniques. Great tutorial! I really like the bags too. I think my granddaughters would love decorating them. 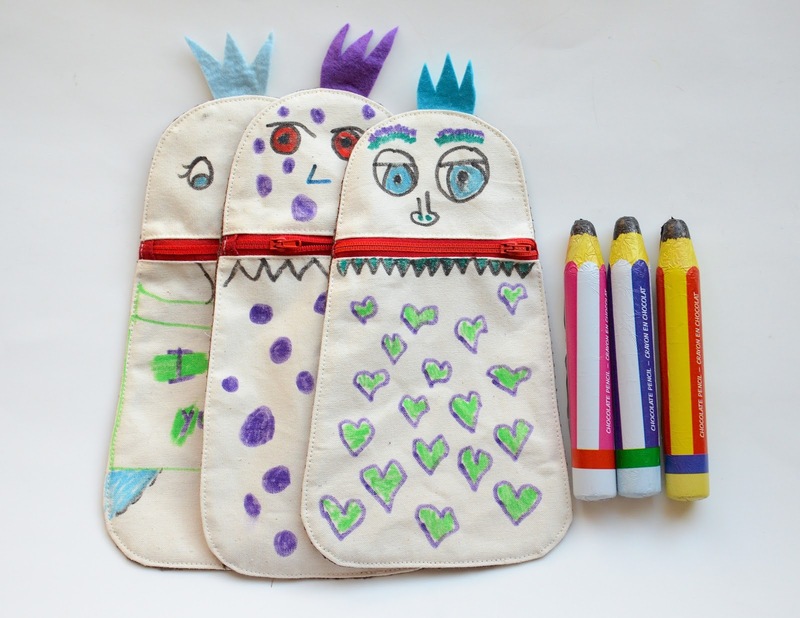 Did your kids use markers or crayons? And if markers, what type? 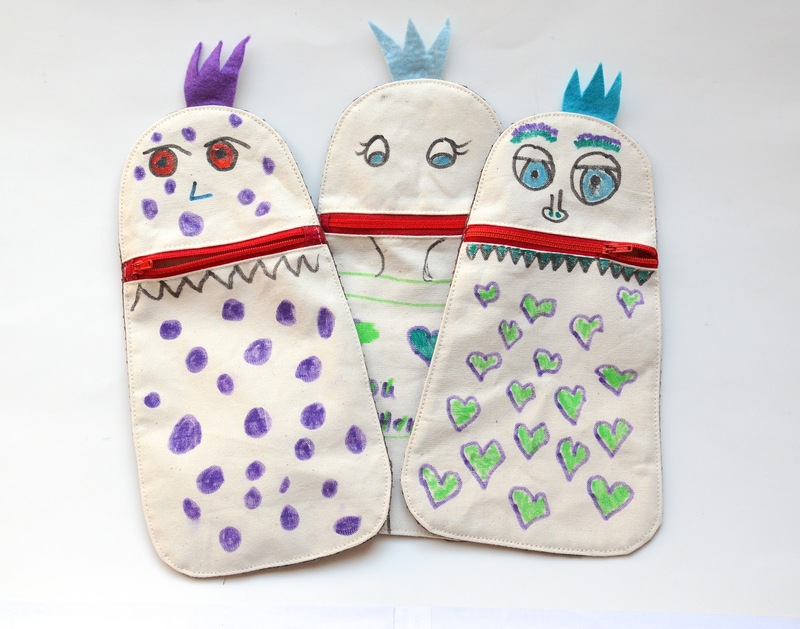 Dawn: they used fabric markers. Those pouches are hilarious. Love the mouths. These are awesome. But I'm already feeling like I missed a class. Can you talk about zipper feet? Specifically, my machine came with one and only one. I've seen references to ones that are 'reversible' (I think that's how it was described -- like, you can flip the zipper side either way), but mine doesn't seem to be. The once or twice that I've tried using it, I just used it for the side that it seemed made for and fudged it with a regular foot for the other side of the zipper. That can't be right...are there many different types of zipper feet? Mailergoat, check whether your zipper foot can be adjusted from one side of the needle to the other or can be attached to the sewing machine to the other side of the needle (I have used various machines that do those things) there are also stores that sell generic feet that fit a variety of machines; I have gotten accessories from a couple of places, but that was years ago. 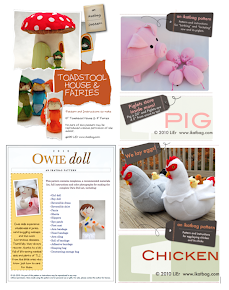 You might want to look at the Nancy's Notions web site. As long as the height and attaching method is compatible other feet might fit. Hope this helps. Thank you! I'll try those -- certainly didn't think to try attaching it on the other side of the needle. 1 Yes, I agree with anonymous - some zipper feet can be attached to the other side of the shank (that thing that the foot is screwed onto). 2 Also, you can turn the entire project around and sew the other side of the zipper tape in the other direction. A bit of a pain, especially if you're shoving bulky layers of a giant bag under the machine arm, I know. That's what I used to do when I sewed bags on my old treadle machine, which had a fixed one-sided foot that couldn't be attached to the other side of the needle. 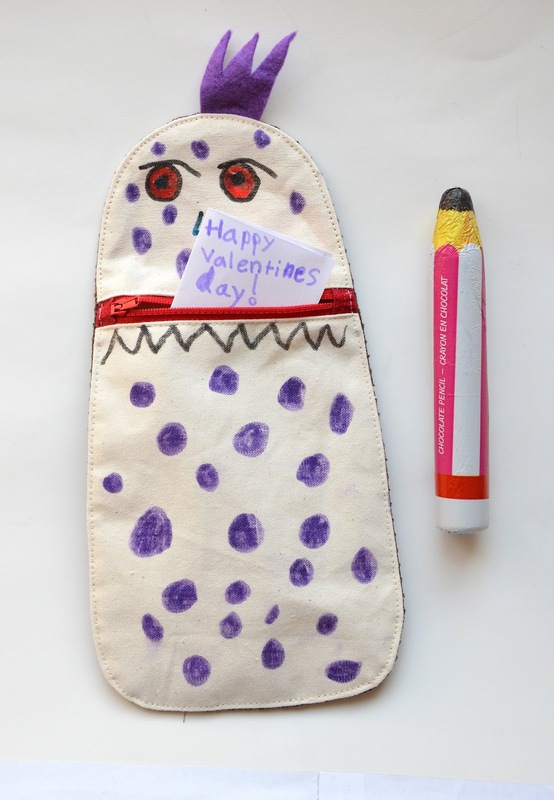 I've only scrolled through your most recent post to here, but I wanted to stop to applaud you for all the kid friendly crafts I've seen so far!